Tis the season! 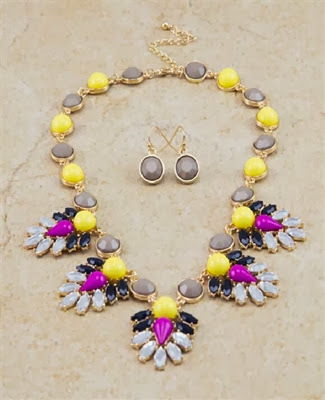 It's time for another great giveaway from one of my favorite places, Pink Slate Boutique! 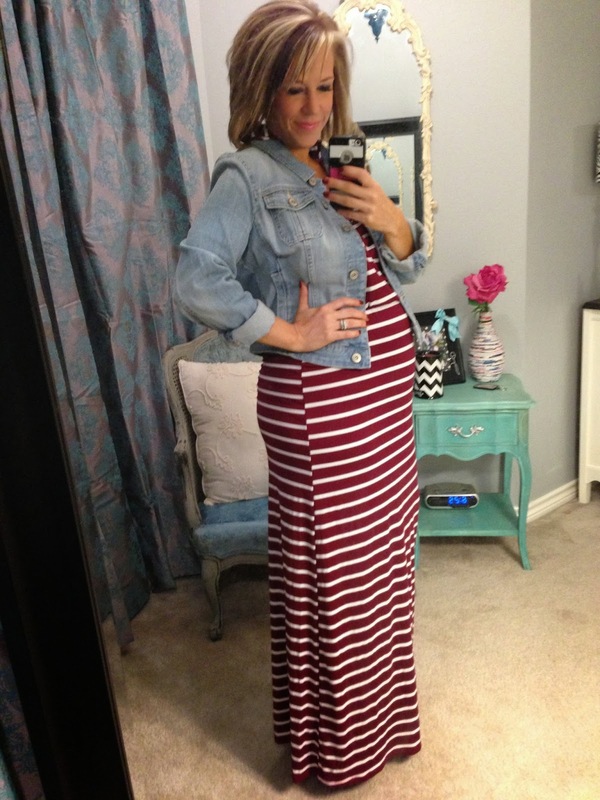 I loved pairing their Perfect Maxi with a jacket for fall. 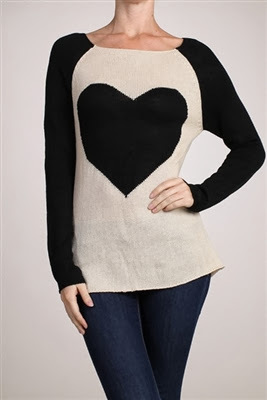 They also have so super cute sweaters, like this Young at Heart one. -An Essie brand mail polish "Set in Stones"
-A Pink Slate Necklace "Jasmine's Jewels"
-A $25 Pink Slate giftcard! 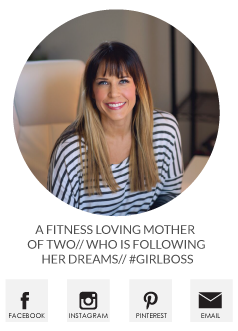 You must be a follower of this blog to enter and the winner will be chosen next Friday! Good luck! Awesome giveaway! I love you in that maxi dress and denim jacket! WOWZA!! Great giveaway!!! Thanks a bunch! You are such a cute pregnant woman. I was going to say beautiful, but you are too funky for that. You just rock these prego clothes. And you look so happy and healthy. It's really great to see. Love, love, love Pink Slate!! !